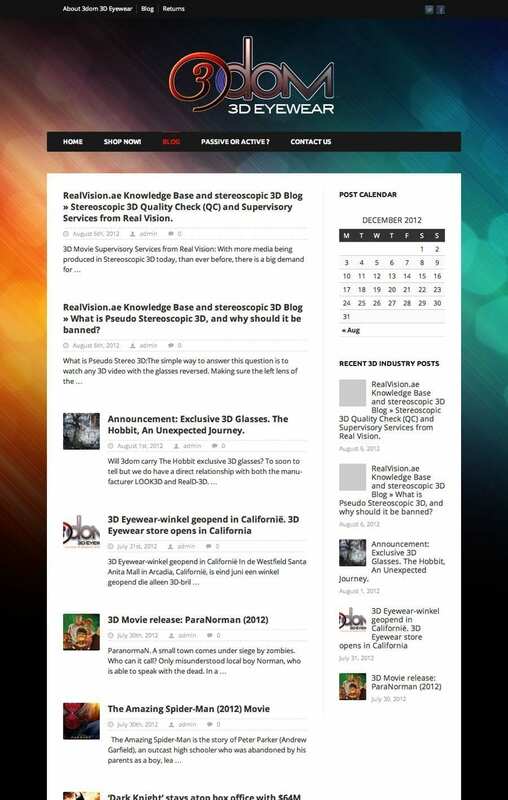 3D News for Theater and Home. 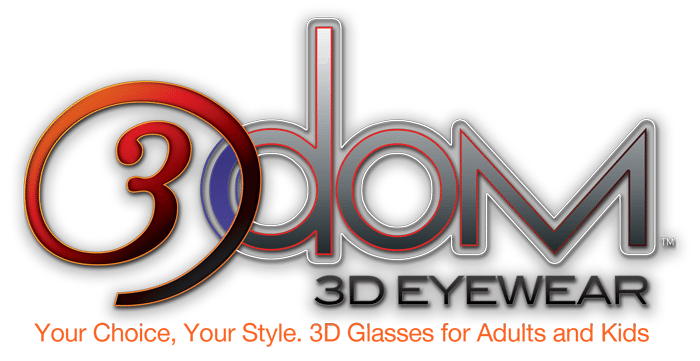 Based in downtown Pasadena, CA. 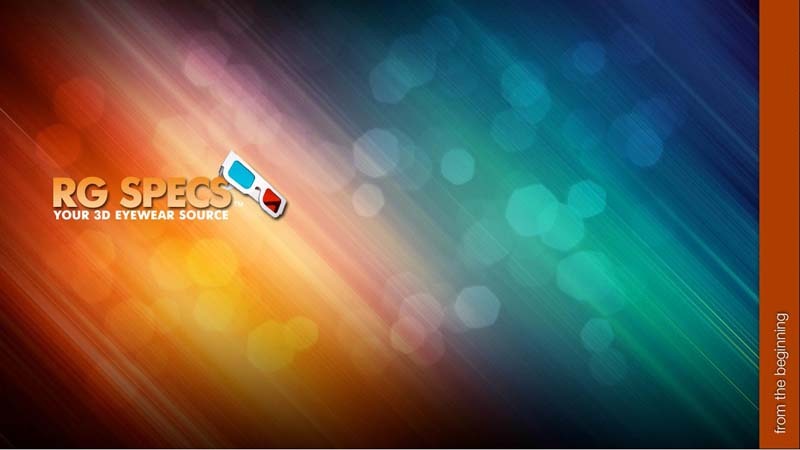 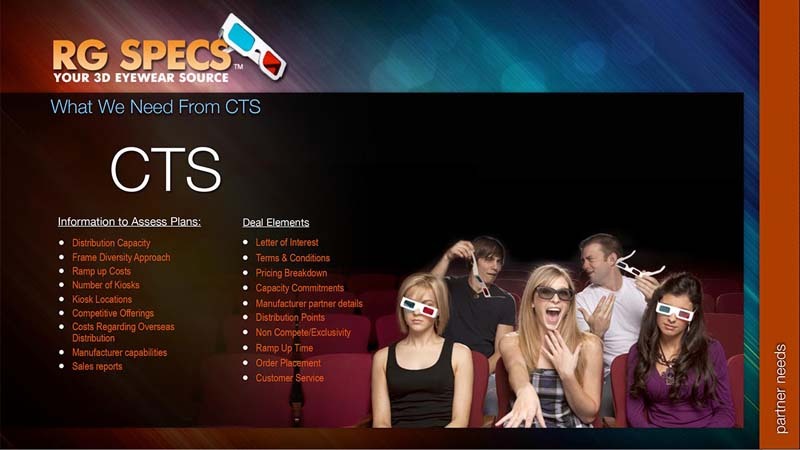 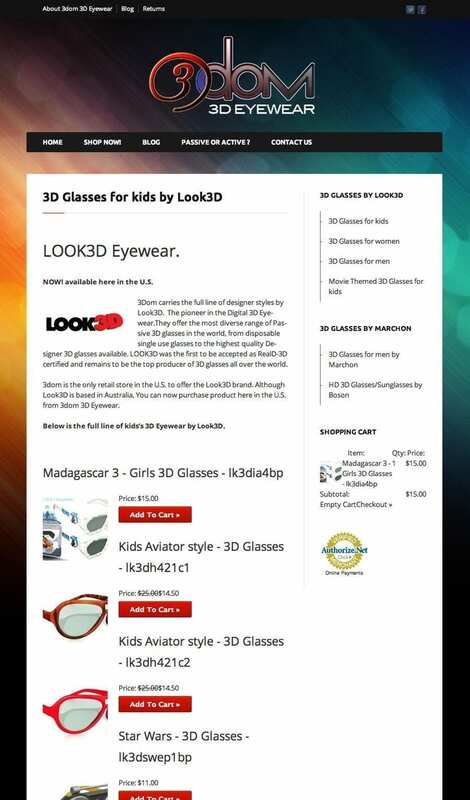 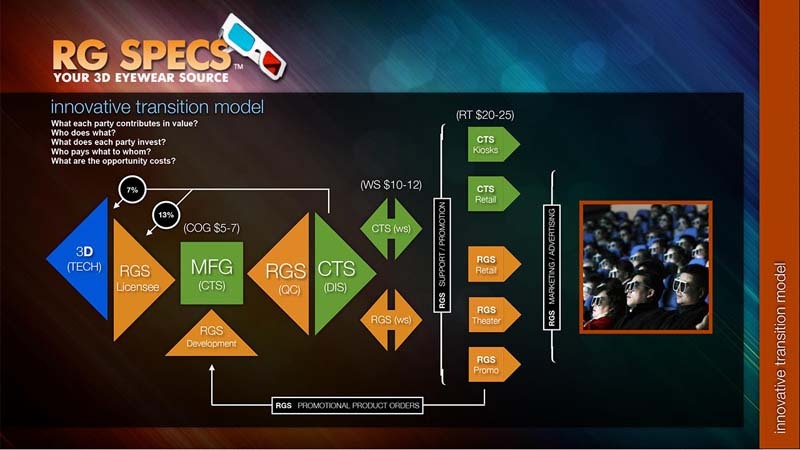 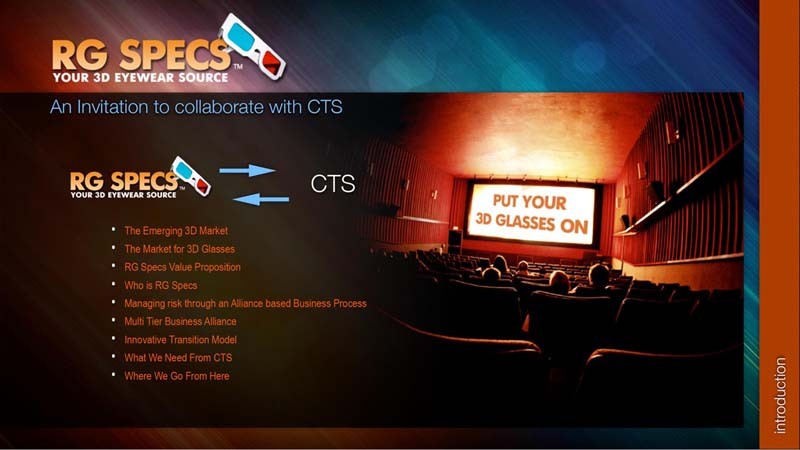 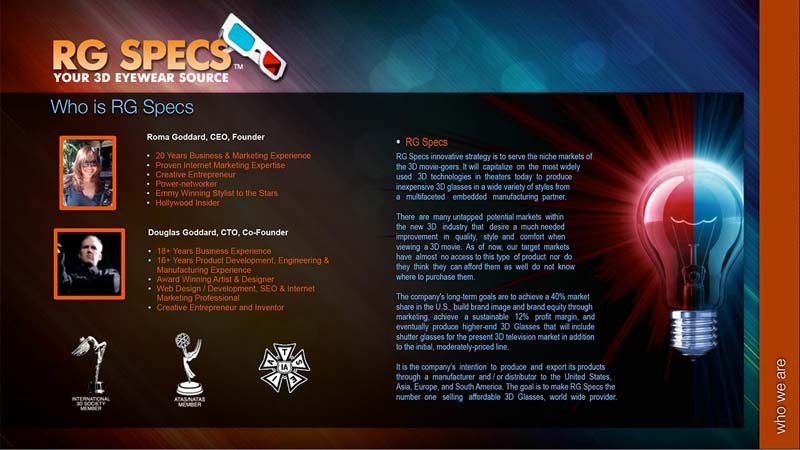 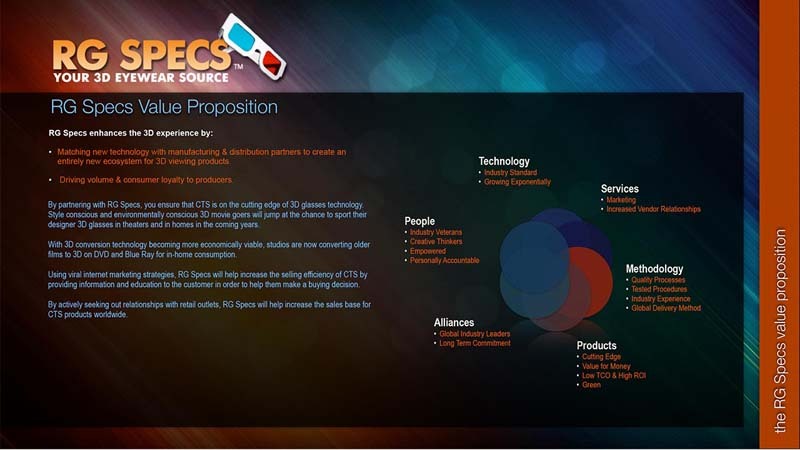 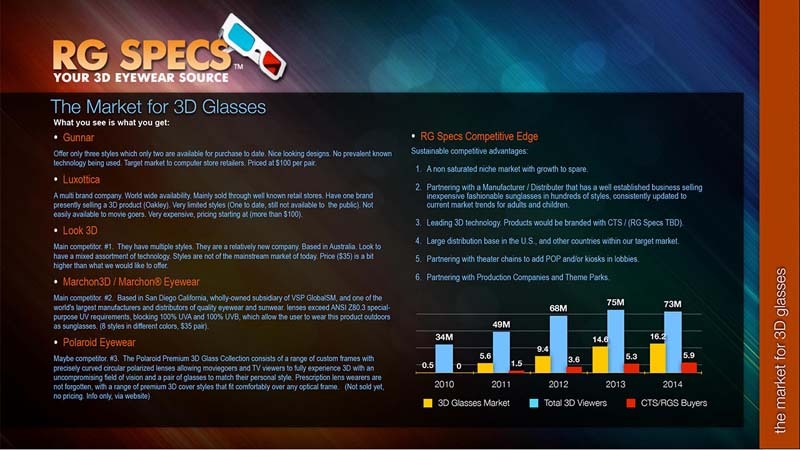 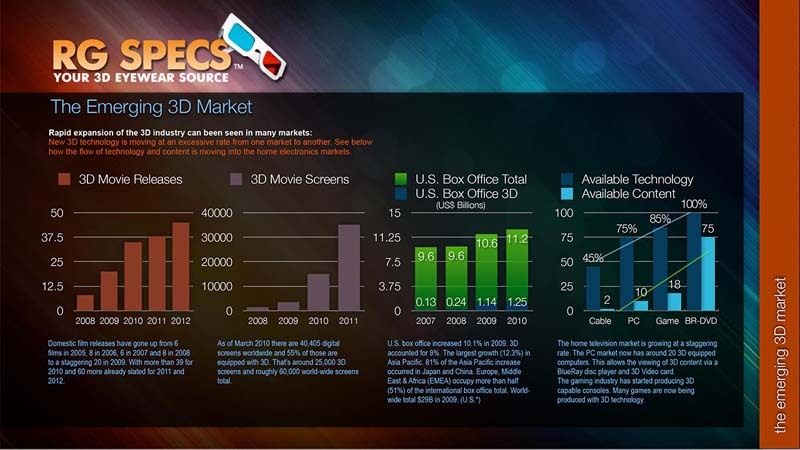 RG Specs owns operates 3Dom 3D Eyewear the affordable 3D glasses retailer. 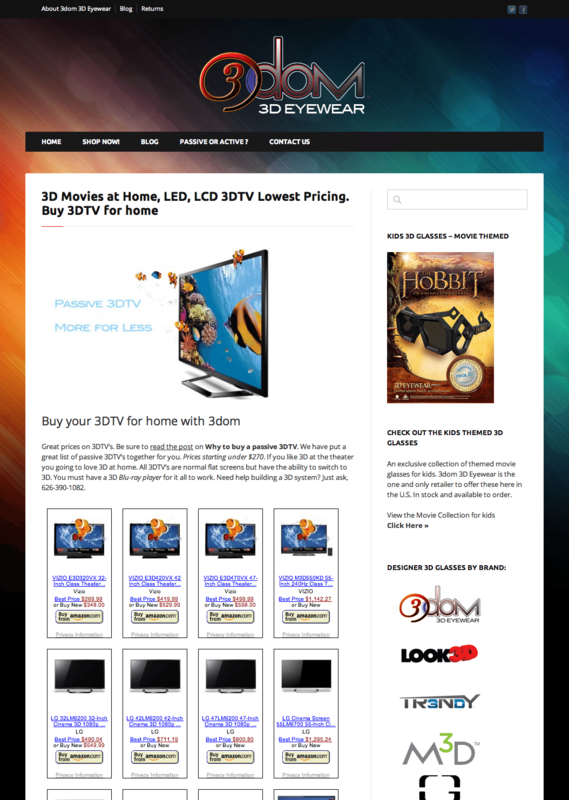 We built a simple modern ecommerce site and designed many custom graphics. 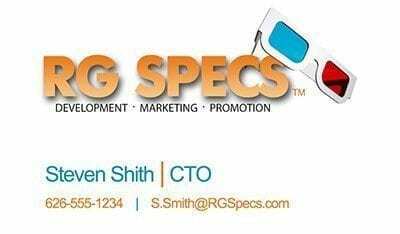 Graphic design, website design, startup development. 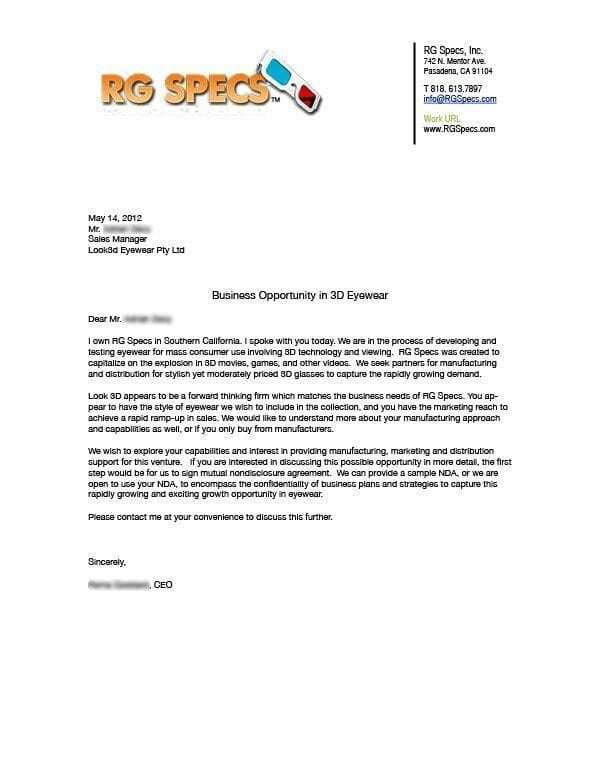 Business plan, cards, letterhead and a KeyNote Partner presentation. 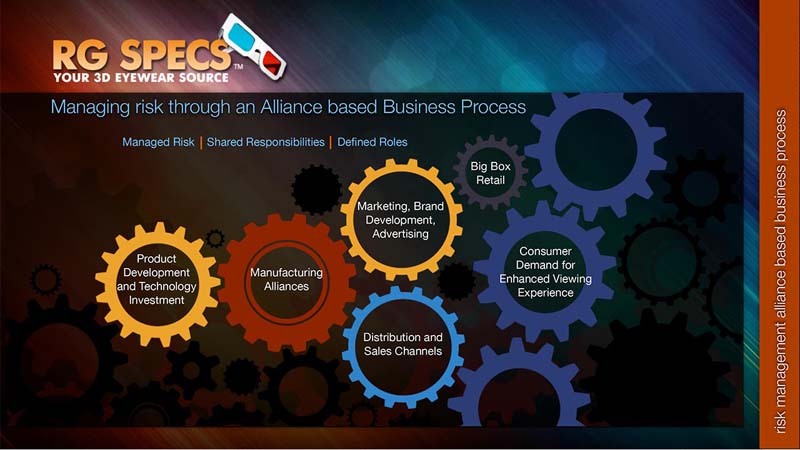 You could say we were a partner for the entire startup process. 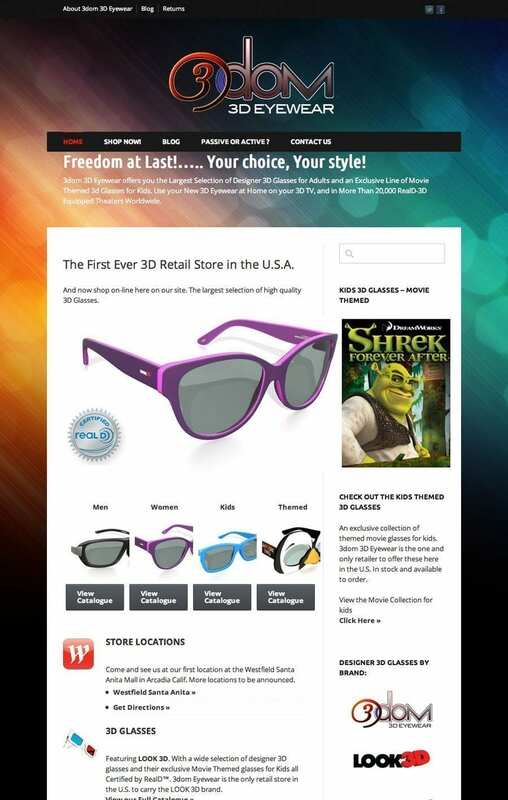 Douglas has a few years experience in the 3D industry so, this was a perfect fit. 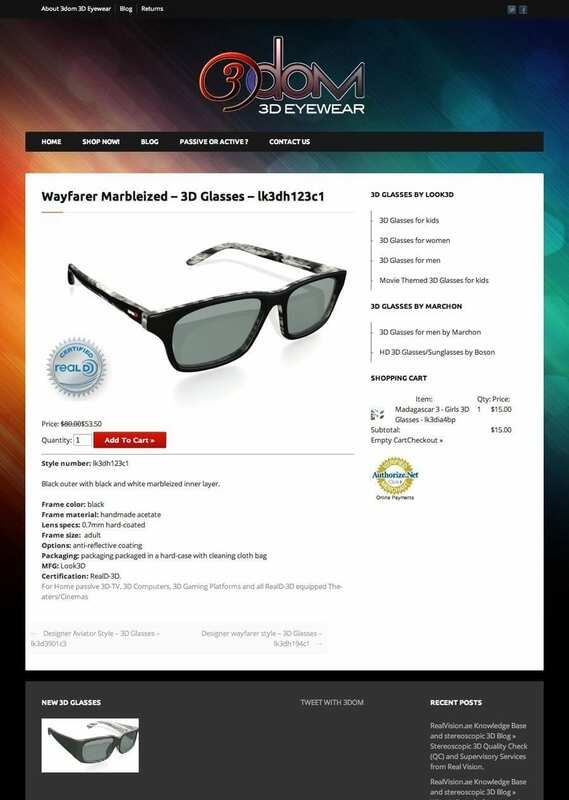 Design and development of ecommerce website. 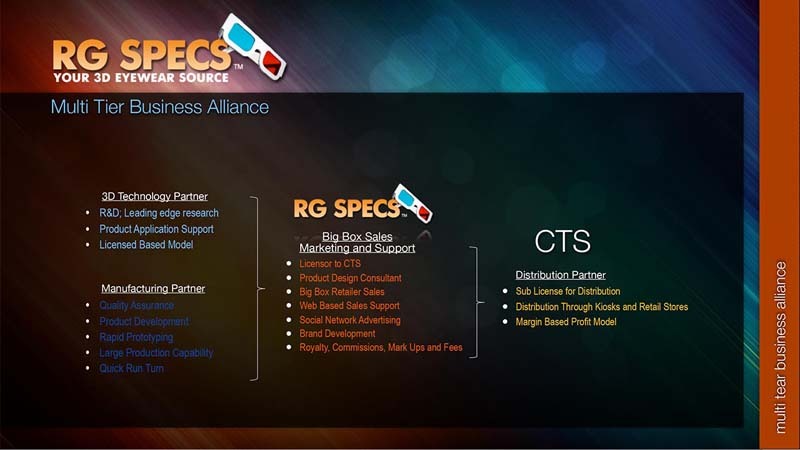 RG Specs Inc. Pasadena, California.